If you're looking to get your one-of-a-kind tailor made wedding video produced, where your entire family can recite your journey of love as a couple, where the video will no less than a moving poetry, SpacePepper Studios is your solution. The Indian brides these days seek highly accomplished professional for their wedding planning needs. Be it a photographer for your wedding and pre-wedding ceremonies, an ingenious stylist to scheme an ideal royal ensemble, a videographer to film the most fun and creative wedding video, or be it a professional to conceptualize your videography, our brides and grooms want the best of the best. Hence, we are here with Gaurav Dhingra Visuals, a one stop solution to video and music production. Having limitless experience in video production and successfully producing several Indian and international music videos, they have some extremely exciting news for the brides and grooms. Finally diving into a big industry like wedding, Gaurav Dhingra Visuals is here to make your wedding extra special. 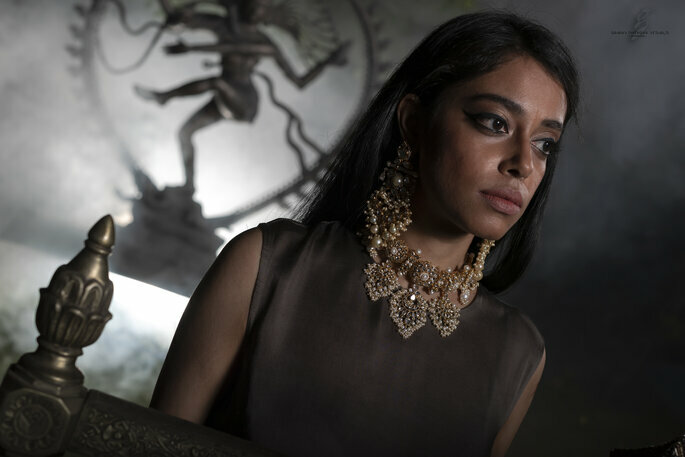 “Gaurav Dhingra Visuals is venturing into the Indian wedding space, which we feel has a big void, musically. While there are numerous videographers attempting to capture special moments on the wedding day and the days leading to it, all videos end up looking the same.”, says Reetika Puri from Gaurav Dhingra Visuals. If you’ve always wanted a larger than life wedding video with a Bollywood-esque element in your wedding video, and even more spectacular visuals and concept, then you’re at the right place. From scripting to composing to exclusively shooting it, Gaurav Dhingra Visuals will present you with the best and unique wedding gift. “While there are numerous videographers attempting to capture special moments on the wedding day and the days leading to it, all videos end up looking the same.” Says Ms. Puri. Your pre-conceptualized and rehearsed wedding video will make you feel like a star. And when we say Bollywood, we indeed mean that your entire family can participate in the wedding video, where they can create something glorious with their starry presence. “Our lyricist converts funny, emotional, joyous memories shared by family members into a meaningful set of lyrics. These lyrics are then incorporated into a nicely crafted song with a catchy chorus and hummable melodies.”, says Ms. Puri. So if you’re looking to get your one-of-a-kind tailor made wedding video produced, where your entire family can recite your journey of love as a couple, where the video will be no less than a moving poetry, Gaurav Dhingra Visuals is your solution.”As the participants would have already rehearsed the choreography while shooting the video, the song/video can also be used at the Sangeet to showcase a totally customised, unique and original act for everyone to enjoy.” Says Ms. Puri. This is just a gist of what the professionals from Gaurav Dhingra Visuals are capable of. For all your wedding videography needs, contact them here. We have compiled a list of top 5 candid wedding photographers in Mumbai, who will present you with the stunning pictures for your wedding album that you definitely won't stop looking at. We present with you the most glorious black and white photographs captured by What Knotin. Have a look, you won't regret! 10 Trending quirky not-so-basic props for your pre-wedding shoot! Planning your pre-wedding shoot?Here are some incredibly fun and creative props that you could use for your pre-wedding shoot! We have crafted this article with Studio Kelly Photography to talk about the prop that has been limited every time in the couple's photo shoot and less talked about. Using vehicle, as a prop, is truly an amalgamation of excitement and uniqueness that will unquestionably bring out the hidden Bollywood artist in you. 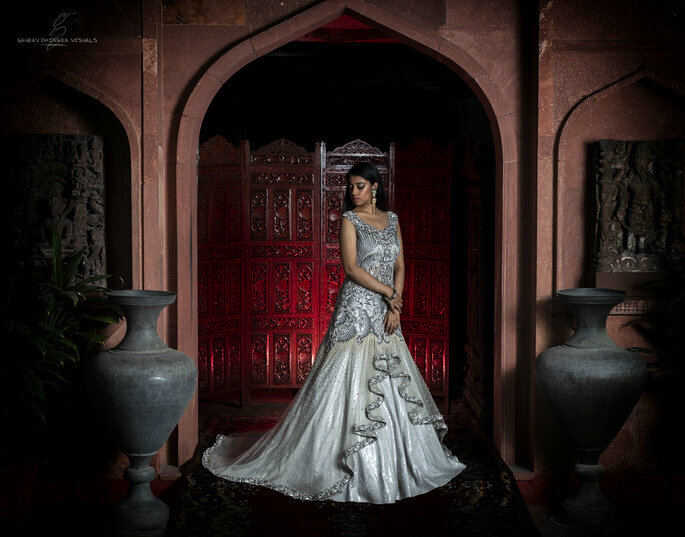 Pranjal from Candid Shutters, presented us the gorgeous gallery full of captivating candid snaps that every bride could ask their photographers to capture too. Have a look! Every picture should speak a thousand words and convey the exact emotions the bride feels at that moment. We know how difficult it can get to choose the best from the pool of various photographers and hence to make Zankyou's brides job easier, we conducted a dedicated research so you don't have to. 20 Amazing Haldi Shots Captured Just For The Wedding Inspiration! 20 Amazing Candid Haldi Shots Captured Just For The Wedding Inspiration. Don't forget to ask your photographer to capture these candid moments. 20 Unique Twirling Brides Shots That You Would Want To Capture! We have made this job easier for you and your photographer by composing a unique gallery of unusual twirling brides. Don't forget to show this to your photographer! Would you like to contact Gaurav Dhingra Visuals?